Blake & Don Bunting. 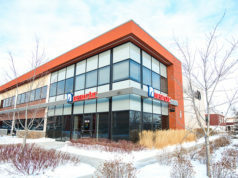 Photo by EPIC Photography Inc.
Action Electrical Ltd. is a commercial electrical contractor providing services through their three distinct divisions: Projects, Service and TEGG. Don Bunting launched Action Electrical Ltd. from his home basement in 1973. Today, Action is a thriving enterprise with more than 100 employees. Action provides design builds, new builds, electrical service, lighting maintenance and TEGG preventative maintenance testing. 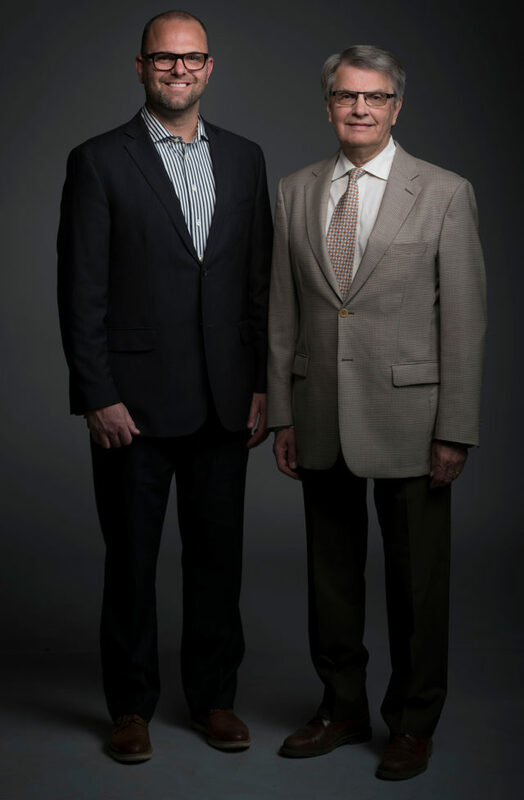 Five years ago, Don, president, and his son Blake, general manager, sat down with Business in Edmonton magazine to share the company’s 40-year history. Now, as Action celebrates 45 years, we get a look at what’s changed. “We are blessed with long term staff, having over one third of our team being with us for over 5 years and many much longer,” adds Don. There has been a great focus on developing the team through training and education. In January, the leadership worked with the staff on a theme for 2018: Intentional. “We are making it a priority to be intentional with our people, clients, and our unique business model,” shares Blake. 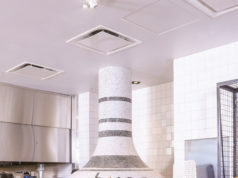 Since 2010, Action is proud to have become Alberta’s only licensed TEGG provider. TEGG is a global organization that is focused on the preventative maintenance of electrical distribution systems. Action is able to provide specialized electrical testing, which includes infrared, ultrasonic, energized/de-energized, arc flash and coordination studies and guaranteed maintenance agreements. 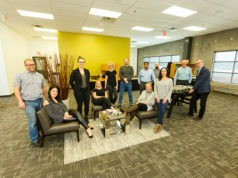 With the cost of steel and copper increasing as much as 85 per cent with the tariff war, in addition to other economic impacts, Action Electrical has remained agile, planning out inventory, labour, and strategy for long-term projects. It’s this kind of thinking that has kept Action in business for nearly half a century. Like most businesses in Edmonton, Action has been affected by Alberta’s economic challenges. Thankfully, a very strong foundation, a great team, an outstanding reputation, and a commitment to excellence in the electrical field, all while earning customers’ long-term trust through prompt, skilled, and personalized service, has served Action Electrical well. In 2015, Action was a runner up for Alberta Venture’s contractor of the year, and in 2016, they achieved that honour. In 2018, Don and Blake were humbled and proud to be named Business in Edmonton Leaders. After 45 years, the next goal is hit 50 – and beyond. “There is no right economy,” concludes Don with his ever-present optimism. “Some years are just easier to handle than others, but you just do your best under any condition.” That is why Action Electrical is thriving year after year, and that’s why it will continue to be a leader in electrical contracting for many decades to come.